The city’s eclectic mix of Moorish, Renaissance and Modernist cultural landmarks are all within walking distance. The vibrant streets of the old town, the uber cool area of SOHO, where some of the world’s most important urban artists have left their mark, the super modern Muelle Uno port, with its Michelin star restaurants, cocktail bars and fashion boutiques, and no less than 15 golden sand beaches within the city limit, all come together to create a destination of excellence. The urban metropolis is one of the oldest cities in the world, dating back to 770 bc. Originally a Phoenician settlement, called Malaka. Throughout the centuries it was occupied by the Carthaginians, Romans and Arab Maurer, until 1487 when it was conquered by the Christians. More than 600,000 ‘Malagueños’ reside in this luminous Mediterranean city and in recent years the city has grown popular with foreign expats. Youngsters from all over the world come to Malaga to learn Spanish, many opting to stay on and live in the city. It’s now a melting pot of nationalities, although, unlike many of its Costa del Sol counterparts, Malaga City has managed to retain its rich Andalusian culture. Malaga swells with cultural and historical attractions. Around every corner you’ll find something to explore. Visitors who want to delve into Malaga’s history are in for a treat; within the city’s ancient walls there lie several important historical buildings. First stop for many, is the Alcazaba, a Moorish fortress set high on a hill overlooking the city. The easiest way to get up to the Alcazaba is via a lift on Calle Guillen Sotelo. Alternatively you can catch the city tour bus, which drops visitors off and picks them up, take a taxi, or if you’re feeling energetic, you can walk up to the top. The views from the ancient walled fortress look out across the city and out to the Mediterranean sea and make the visit extra special. Down in the city centre visitors continue their exploration of Malaga’s Moorish past at the Gibralfaro Castle, the lower fortress and royal residence, linked to the Alcazaba. Malaga’s Renaissance cathedral has a dominating presence in the heart of the old town. Construction started in 1528 after the city was conquered by Ferdinand and Isabella, and finished in 1782, although the building work was never completed. Much of the facade was eventually completed in the Baroque style, although the south tower was never constructed, hence the cathedral’s local nickname, La Manquita (the one armed lady). Malaga has always been fiercely proud of its artistic heritage. The birthplace of Pablo Picasso, the city has three main art spaces: Picasso Museum, Thyssen Museum and the CAC - Contemporary Art Centre, and the art scene continues to flourish. The upcoming area of SOHO, once a downtrodden neighbourhood, that fudged the old town and port area, is now the location for an urban street art explosion, part of the Maus Project, an urban regeneration initiative, globally renowned street artists have left their art and their tag on SoHo’s streets and buildings. In 2015 Malaga’s art circuit will be further enhanced, with the opening of the Pompidou Centre in the Muelle Uno port area. If you want to get a good sense of a city’s character, visit its markets. 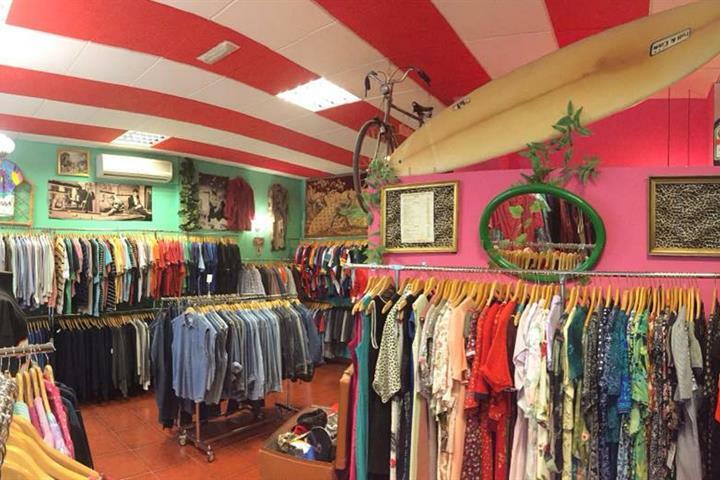 Malaga’s Atarazanas Market is a great place to get to know Malaga’s exuberant and quirky nature. The Mercado Central (central market) is a utopia for foodies and most of Malaga’s restaurant scene purchase fresh fish, shellfish, meats, vegetables, fruits, spices and more from Atarazanas. 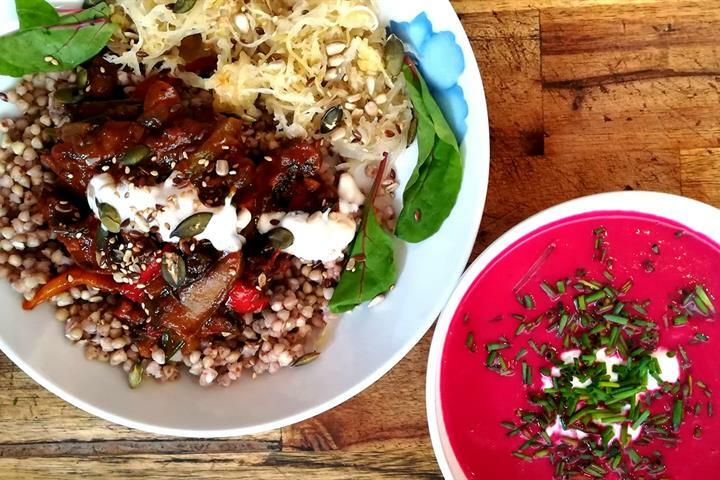 Check out our Insider’s Guide to Atarazanas Market. The super modern port area, Muelle Uno, is a must visit zone for shopping, dining and just walking out to be seen. It’s also the location for the projected Pompidou Centre, which is to set to become a fixture from 2015. 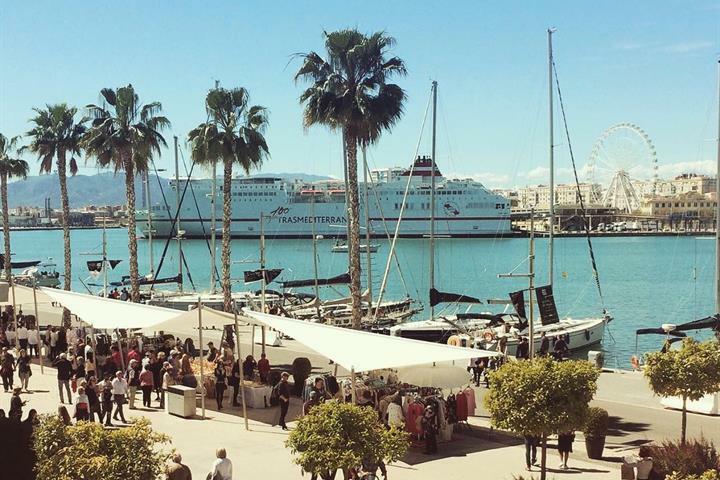 Some of the world’s largest cruisers dock at Muelle Uno; their guests step off, with umbrellas to protect them from the sun and head off into Malaga to soak up the atmosphere for a few hours. There are not many destinations where you can be visiting world-class museums in the morning and eating lunch on the beach in the afternoon; Malaga is amongst those destinations. There are 15 beaches within Malaga’s city limits, from the chichi beach of Baños del Carmen, to the dark golden stretch of sand of Playa de la Misericordia. The beaches are clean, family-friendly and accessible, with restaurant bars and beach clubs offering everything from traditional Pescaito Malagueño (fried mixed fish), to Moroccan-style couscous and mint tea, to hip beach party nights. Check out our Malaga City Beach Guide. The main shopping thoroughfare of Malaga is the centrally located Calle Larios, with its mixture of well-known chain stores and independent boutiques, cafeteria’s and ice cream parlours. There are often temporary exhibitions set-up for shoppers and strollers to enjoy, well as street entertainers and musicians. Off of Calle Larios you’ll find a ravel of streets where you find much of the same shops and boutiques and plenty of restaurants and bars. Shops are generally open to 10pm and later during the summer months. The port area of Muelle Uno is another shopping option. Expensive boutiques line the sunny boulevard and there are a selection of cocktail bars to enjoy a Cosmopolitan in your cosmopolitan Malaga. In the newly regenerated art district of SOHO, you’ll find trendy boutiques, quirky gift stores, mingling with family-run shops and hairdressers that survived the facelift. For more basic shopping needs, head out of the centre, to the west, close to the train station (Renfe), you’ll find the the Larios Centre a typical shopping centre with hypermarket and chain stores. Across the road you have Spain’s iconic El Corte Inglés store. And don’t forget the Atarazanas Market for fresh produce, fish and vegetables. You can see most of Malaga’s main attractions on foot, you don’t need public transport to get around this handbag size city by the sea. But if the sun is shining, passing half a day taking in the sights from an open top bus is also fun. The bus also takes you up to visit the Alcazaba, saving you some energy for afternoon beach fun. Malaga’s beautiful and historical Jardín Botánico de la Concepción (botanical gardens), situated 4kms north of the city centre, dazzles in the Mediterranean sunshine. The gardens date from the 19th century, designed in the English-style of the time, it’s a pleasurable experience to stroll through the gardens, grabbing shade from the midday sun. City, beach, rural escape. Staying in Malaga means you get the best of all worlds. Malaga enjoys a backdrop of mountain scenery and beyond there is rural country just waiting to be explore. One of the closest natural routes, where you can take in the city and Mediterranean is the Montes de Malaga Natural Park. Just 14kms from the city centre, the Montes de Malaga is a pine forest landscape, with deep valleys, gorges and impressive wildlife. There are hiking routes for all abilities, picnic areas, restaurants, viewpoints and campsites. Just in case you decide to spend a night under the summer stars. Back in town, but feeling lethargic, why don’t you hop on a Segway, for a tour with a difference. Malaga Segway Tours are guided tours on these self-balancing electric vehicles. Tours last 1-2 hours. For more ideas on what to see and where to go in Malaga, the social media website Foursquare listed the Top 10 Places to Visit in Malaga according to its users. Malaga is a cheerful and upbeat city, maybe it’s because of the year-round sunshine, healthy and delicious cuisine or its deeply rooted culture, whatever the reason, Malaga is happy and the locals are always up for a party. Easter Week, or Semana Santa as it’s known in Spain, is as solemn, as it is alegre; if that’s possible. Its a hugely important festival in Andalusia and celebrations for Semana Santa in Malaga are second-only to Easter Week in Seville. Noche en Blanco takes place annually in May. A night of culture, music and entertainment, which mostly takes place on the streets, and all for free! First launched in Paris, the concept came to Malaga a few years back and has now become a notable evening in Malaga’s calendar. Activities start at 8pm, there’s lots of fun activities for children and carry on through the night. Malaga Feria attracts millions of visitors every year; one of the most popular and longest festivals in the Spanish calendar, the annual party takes place in August; playing out non-stop for nine days and nights. The feria is divided up into the daytime activities, which take place throughout the city centre, and the night feria, which you’ll find just outside the city centre, next to the Palacio de Congresos. Check out all the fun of the fair in a special Malaga Feria article. Malaga hasn’t just come on as a cultural destination; it’s now also one of the of foremost gastronomical destinations in Spain. From humble tapas to Michelin star restaurants, it’s worth visiting the city, just to savour its restaurant scene. Of course, the first thing that comes to mind when thinking of Spanish cuisine, is tapas, and Malaga has some of the best tapas bars in the country. Much of which is fish and shellfish-focused, due to its Mediterranean location. Our guide to Malaga’s best tapas bars is a good place to start if you’re new to tapas dishes. In the centre of town, you’ll find an eclectic mix of restaurants, from traditional Spanish and seafood, to Asian, Moroccan and South American. The new port of Muelle Uno is heaven for foodies, with plenty of high quality restaurants and bars. Along with Malaga's emerging food scene, is a wine tradition that dates back to the Phoenicians. Best known for its sweet wines made from the Moscatel and Pedro Ximenez grape varieties; visitors mustn't go home without visiting one of Malaga's traditional wine bodegas. Fancy a night at the cinema or the theatre? Malaga has an impressive performing arts agenda; so if you want to enjoy a night of live music, dance or theatre, you’ll find a great choice. The Cervantes Theatre (Teatro) is the city’s main and central auditorium, where you can enjoy artists and theatre coming from all four corners of the globe. There are several cinemas dotted around town, one of which, the iconic Albéniz Cinema, screens independent films, which you won’t find on anywhere else. Malaga Party Nights! When it comes to hitting the town for a night out, Malaga delivers; the city rarely sleeps before 4 or 5am. The residents of Malaga tend to eat later, around 10-11pm. At this time you’ll find the centre heaving with families and groups of friends, enjoying the city’s vibrant atmosphere. There’s plenty of choice of music bars and nightclubs, for whatever style of party you’re looking for. Why don't you check out one of Malaga's rooftop terrace bars. And during the hot summer months, the party switches from the centre of town to the beach. Beach bars from La Malagueta to Pedregalejo fill up with a mix of locals, foreign students and holidaymakers, all out to refresh the hot summer city nights, with some beach fun. Malaga City has excellent travel links. From the airport, you can reach the city via train (8 minutes), express bus service or taxi. The Renfe train service operates out of María Zambrano station and you can travel to pretty much anywhere in Spain. Malaga to Madrid is just 2hrs45 minutes on the AVE fast train. You can also catch the local train from Malaga to Fuengirola and there are buses serving the city centre and suburbs. All year round is a good time to visit Malaga. The winter months are, for the most part, mild, and so autumn and winter are good seasons to visit the city if you want to take in the cultural facets, without being bothered by flocks of tourists. Along with spring comes celebrations, such as Easter and Noche en Blanco; which come hand-in-hand with warm days, and comfortable evenings. You should even be able to catch a few rays on the beach! July and August can be too hot for the faint hearted. Remember, Malaga is a bite-sized city and when it gets hot, everyone comes out on the streets, to sweat it out together. Making it just a tad bit hotter still! Устройте шоппинг на лучших уличных рынках в Малаге, где Вы можете попробовать местную еду и местные продукты, изучив заодно и город. Лучшие районы для проживания в Малаге, какой бы отпуск Вы не запланировали. Ищете ли Вы пляжи, музеи или бюджетный отпуск - все есть в Малаге! It is clean and has a lot of good museums and exhibitions as well as green areas. I stayed only in Malaga, so I cannot tell anything about the coast.